There’s certainly a lot going on with the new Touch Book by a company called Always Innovating. From afar, it may seem like your average netbook – 8.9-inch screen with 1024×600 resolution, thin-and-light form factor, etc. – but get up close and you’ll notice that the ubiquitous Intel Atom CPU has been replaced by an ARM processor, commonly found in smaller mobile devices. It will also include Mozilla’s Fennec browser and – get this – the screen is magnetic, so when you detach it from the keyboard you can “put the tablet on the fridge to serve as a kitchen computer or digital frame.” Finally, there are a whopping six USB ports – three internal, two external, and one mini. The internal ports are for things like a wireless dongle or a USB thumb drive – stuff you wouldn’t want hanging off the side of the machine all the time. The Touch Book will be available in “May or June 2009” and will come in two versions; tablet only or netbook (tablet + keyboard). The tablet version will cost $299 and the netbook version will cost $399. Those are both going to likely be tough prices for would-be customers to swallow but perhaps the cool features, tiny weight, and super long battery life will be enough to win people over. If the company could eventually lop $100 off each model, though, this thing might have a much better chance. PALM DESERT, Calif., March 2 /PRNewswire/ — Always Innovating today unveiled the Touch Book, a versatile new device that works as both a netbook and a tablet thanks to a detachable keyboard and a 3D touchscreen user interface. 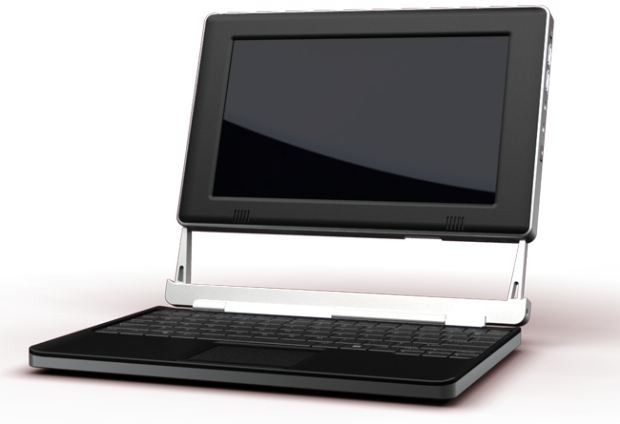 The Touch Book, previewed at DEMO 09, weighs less than two pounds as a netbook and has a battery life of 10 to 15 hours — three times longer than most netbooks. The Touch Book combines the best of open source software and open hardware with a sleek industrial design by designer Fred Bould. The innovative design includes internal USB plugs. “I hate having dongles hanging from my laptop – I often end up disconnecting them accidentally — so we opted to put the USB inside,” said Gentil. 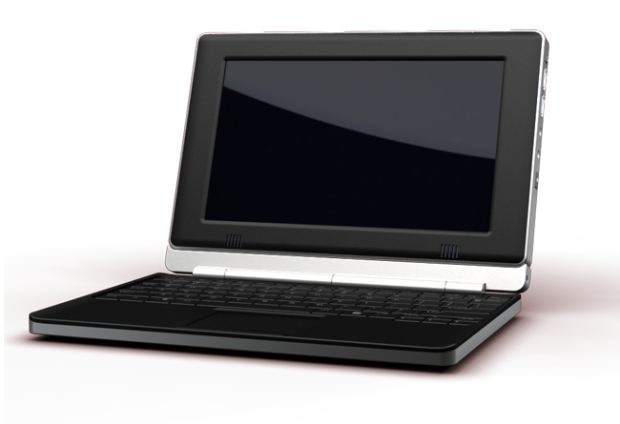 The Touch Book is the first netbook featuring an ARM processor from Texas Instruments, resulting in outstanding battery life, and a fan less, heat-and-noise-free system. According to Chris Shipley, executive producer of the DEMO Conferences, the Touch Book’s innovative architecture and industrial design earned it a spot on the DEMO conference stage. “The longer battery life is a boon to netbook users. 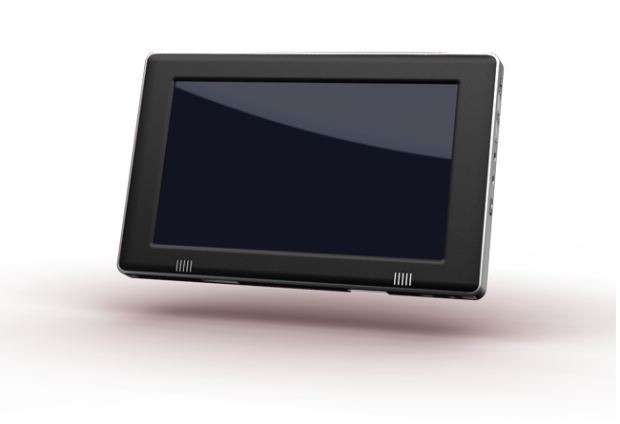 But the Touch Book’s versatility – its ability to function as a netbook as well as a standalone touchscreen tablet – makes it a breakthrough product,” said Shipley. 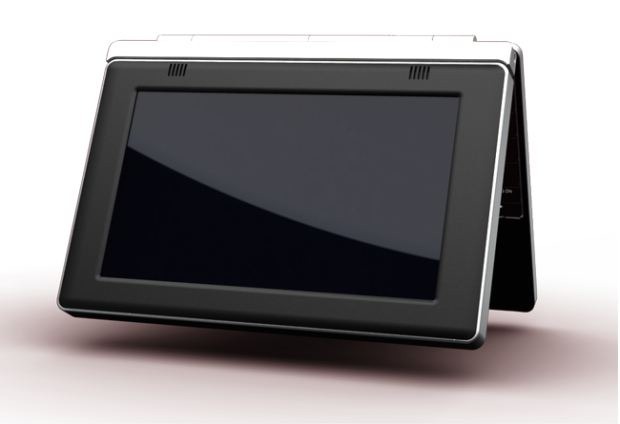 The Touch Book is expected to ship in late spring and will start at $299. Advance orders can be placed at http://www.alwaysinnovating.com/store/.